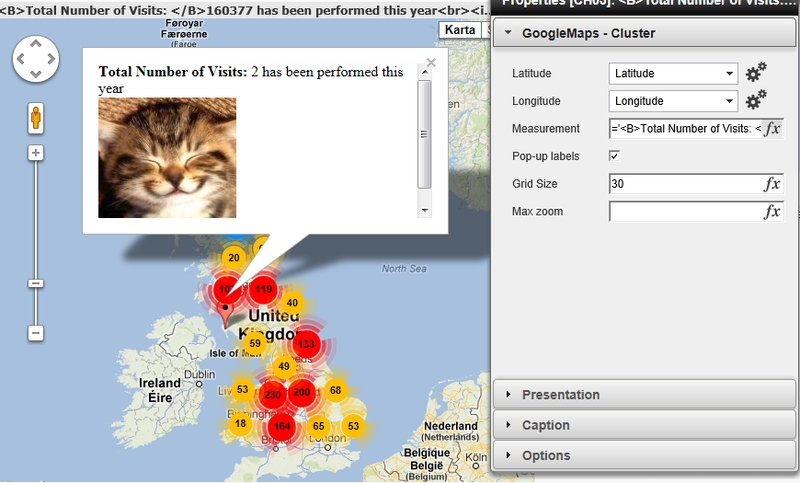 Quick update on Google Maps Marker Extension	QlikFart – Yes it’s exactly what you think it is. Small update to the Google Maps – Cluster extension. Updated the Cluster extension to allow for popup windows when you hover over a marker. Sr. (But still young) Demo Architect working for QlikTech Inc.
Disclaimer: Stuff on this blog is my personal opinions and certainly not those of my employer. Any code or solutions posted on this blog should be considered 'as is' and is not covered by maintenance and support agreement with QlikTech.